Here is a photo of my mother and her grandfather, William W. Durbin, at the first convention of the International Brotherhood of Magicians. Durbin was an amateur magician and head of the Democratic Party in Ohio. He helped Wilson and FDR in their nominations and elections and was register of the Treasury for FDR when he died in 1937. With Jonathan Karl of ABC News last summer on The Harding Affair, my last book. http://news.yahoo.com/video/lust-power-trove-president-warren-235749147.html. ABC News and Yahoo article: http://news.yahoo.com/blogs/power-players-abc-news/lust-for-power--trove-of-president-warren-harding-s-love-letters-reveal-steamy-affair-212444778.html. New York Times magazine, July 2014: http://www.nytimes.com/2014/07/13/magazine/letters-warren-g-harding.html?_r=0. Here I am with John Dean at New York's Chautauqua Institute signing books in the summer of 2013. Carrie Phillips, Warren Harding's mistress. 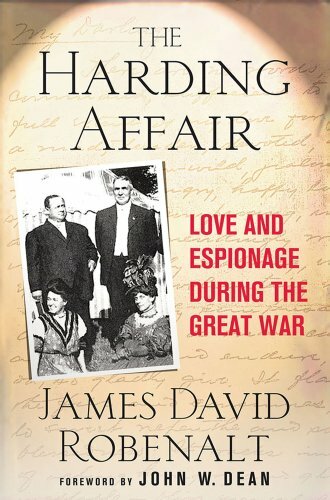 Harding's letters to her are the subject of my second book, The Harding Affair, Love and Espionage During the Great War (Palgrave/Macmillan, 2009). International Brotherhood of Magicians first-ever convention in Kenton, Ohio, June 1926. My great-grandfather stands next to Harry Blackstone. Behind them is Durbin's home and his magic theater. 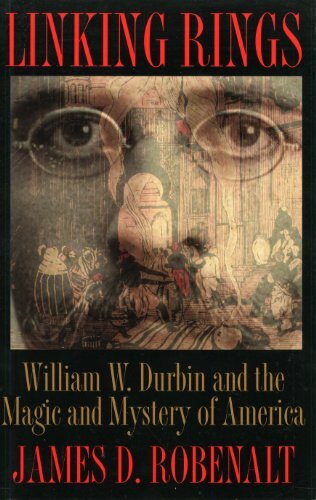 My first book, Linking Rings, William W. Durbin and the Magic and Mystery of America (Kent State University Press, 2004). John Dean on Warren Harding's front porch in Marion, Ohio. Dean lived in Marion and wrote a biography of Harding for Arthur Schlesinger, Jr., as part of The American Presidents Series. Warren G. Harding (New York, Times Books, 2004). This front porch hosted the last front porch campaign. Two Ohioans, Harding and James Cox, ran against each other in 1920 for the presidency. Harding won in a landslide. Cox's vice presidential candidate, Franklin D. Roosevelt, would go on to win the presidency four times. With Mary Jordon of the Washington Post, John W. Dean, Nixon's White House counsel, and Joanna Connors (my spouse) of the Cleveland Plain Dealer, preparing for the Washington Post's commemoration of the 40th anniversary of the Watergate break-in on the top floor of the Watergate in June 2012. 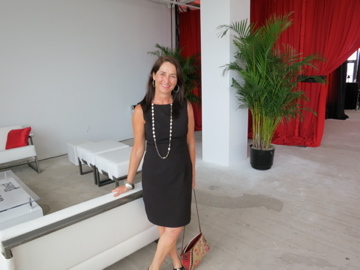 Ben Bradlee, Bob Woodward, Carl Bernstein, among others, attended. http://www.watergatecle.com.